About two weeks ago one of our readers submitted a photo of an insect for us to identify. Erin Mills, our resident entomologist, figured out what it was and is ready to teach us all about a new moth. This photo comes to us all the way from right outside of Almeria, in Southern Spain, wow! Peter was digging in his garden and dug up what he thought was a snake, or part of one. It turned out to be a moth pupa. He kept it until the moth emerged and took a picture of what he saw. The moth’s wings were not yet completely developed at the time of the picture, so I knew I had a challenge ahead of me! Also, I don’t consider myself an expert on European moths. Luckily for me, this particular moth had some very distinguishing markings and a very unique behavior. This is called a Death’s Head Hawkmoth. It is one of 3 different species that share this common name because of the marking on the thorax that looks vaguely like a skull. All 3 species belong to the genus Acherontia, This particular species, Acherontia atropos, is perhaps the most well-known of these moths. They are native to the Middle East and Mediterranean region of Europe. This is the only species that is found in Europe, the other two are Asian. This fact, along with the markings on it’s thorax and abdomen, made it easy to identify. Peter made a comment that the moth didn’t appear to like being harassed and actually hissed at him. This was another dead giveaway! Death’s Head Hawkmoths actually have the unique ability to make a squeaking noise by forcing air through their proboscis to deter predators. This is probably what Peter heard and described as a hiss. This is among several other unique features and behaviors of these moths. They belong to the family Sphingidae, known as sphinx moths or hawk moths. Most sphingids have a very long proboscis that helps them to reach the sweet nectar deep inside of flowers. Death’s head moths, on the other hand, have an unusually short and thick proboscis. They have to find other ways of getting food, so they are known to raid bee hives for honey at night. They have a very thick exoskeleton to help protect them from stings and they are immune to the venom. Once inside the hive, they mimic the scent of the other bees, so for the most part they can move around the hive freely. Their thick, strong proboscis is perfect for penetrating the wax covering the honey cells. They will also feed on rotting fruit and tree sap. They can be a seasonal pest to some beekeepers. The skull pattern on their thorax has given them somewhat of a negative reputation. Their feisty disposition doesn’t help either. The caterpillars are known to make a loud snapping noise with their mandibles and will bite if they feel threatened. The squeaking noise of the adults has been compared to a melancholy cry. They are often associated with death and the supernatural. You may recognize them from the movie Silence of the Lambs. In the movie and book, the trademark of the murderer was to place a pupa of this moth in the mouths of his victims.That in itself makes them seem kind of creepy! Also, all 3 of their scientific names are associated with death in Greek mythology. In Europe they were thought of as harbingers of war, death, and pestilence. Their appearance was thought to be a bad omen. 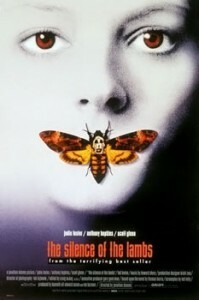 Of course this is all superstition and these are not harbingers of death, but just large beautiful moths, or are they?? Thank you so much for sending in the photo Peter, and I’m glad we could identify this insect for you! It’s amazing what you can find when digging in the dirt. Remember, if you find an odd looking bug and would like to know what it is, snap a picture and send it to us at blogadmin@hmns.org. Happy bug watching! Hi I found an interesting insect on a brick outside my house. I took a picture, some friends are calling it a beetle, others a cockroach. I was wondering if I could send the picture to you guys to identify it for me? Hi Shawna, You can email the picture to me at blogadmin@hmns.org – I’ll forward it to our entomologist to see if she can identify it. I found what looks like a prehistoric moth on the side of our house Saturday. It looked really creepy and we did not know what it was and left it alone. A few hours later it was gone. I got good pictures of it’s back and side. Is it possible to forward to you like the other poster did and see if we can identify it. I am more curious than anything. Never seen anything like it before. Sure! Send it to blogadmin@hmns.org! My 13 year old daughter took a picture of an insect with her phone and wanted us to tell her what it is. Since it is bright red I was concerned as I have never seen one before! I am sending it to blogadmin@hmns.org and would appreciate it if you could identify it for us! Thanks, Tom! Send away and we’ll see what we can do for ya. Thank you so much for the quick reply! That is so interesting to find out about it! I found a weird looking bug in my house and was wondering if you could identify it for me?? Yes Charles, we’d be happy to have a look at it! You can send a picture, to my attention, to blogadmin@hmns.org and I will let you know what it is ASAp! Thanks! stag beetle. It’s big and creepy. lol. Could I please send a photo to you and see if you know what it is? Please do! You can send your photo to blogadmin@hmns.org. I can tell you one thing, whatever it is, you probably don’t need to be afraid of it. Many people don’t realize that only a fraction of a percent of insects are actually harmful to people, even if they look a little weird! When we get your photo, we’ll let you know what it is! Thanks! I would like to identify an insect we found on our upholstered chaise lounge at home. 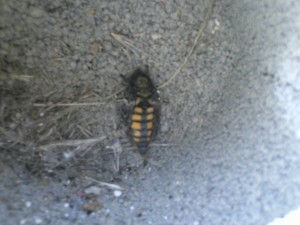 The insect bites a perfectly round hole and penetrates the substrate beyond the cover. We found a live one and have pictures of it and the entry hole. How can you help? How do I send pictures? Hi! If you send an e-mail with a picture to blogadmin@hmns.org, we will be happy to help! I also am a volunteer curator at viewbug.com/member/barteason-arteest..I get photos of insects all the time I cannot identify and need to for labeling..what size should I send photos?? These moths came out of nowhere and have become quite a nuisance. I’ve searched all over the web and continue to turn up empty handed. if I have a picture of a bee can you identify it? Possibly. Please send your photo to blogadmin@hmns.org. Thanks! Can I send a picture of a beetle for you to help me identify?